Help your kids see the bigger picture beyond Israel’s individual battles against the Canaanites. 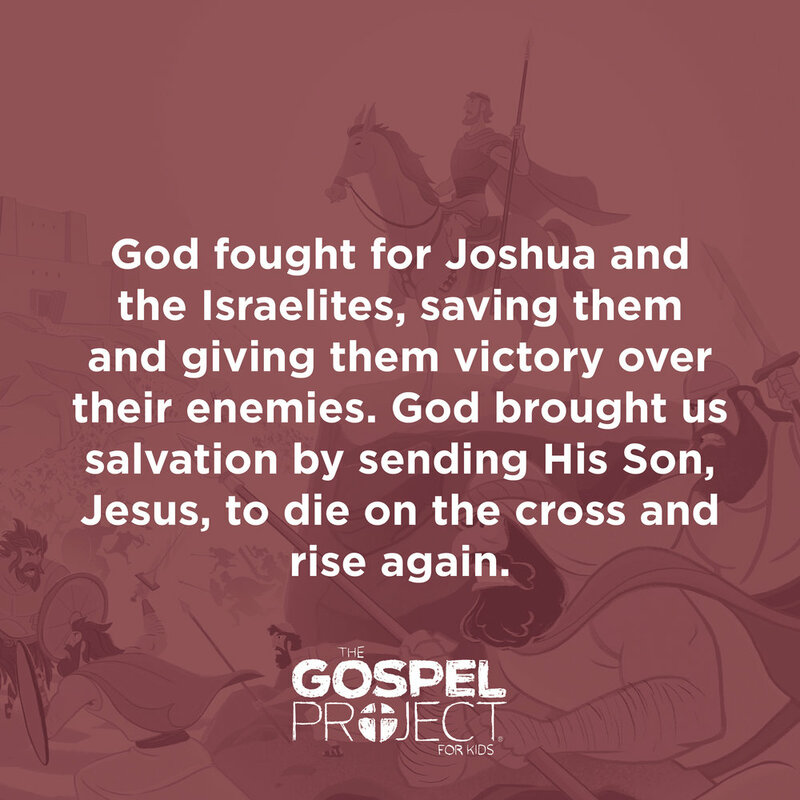 Joshua’s name means “The LORD is salvation.” God fought for Joshua and the Israelites, saving them and giving them victory over their enemies. Sinners can look to God for victory over sin and death. God brought us salvation by sending His Son, Jesus, to die on the cross and rise again. How can we glorify God? We can glorify God by loving Him and obeyingHim.